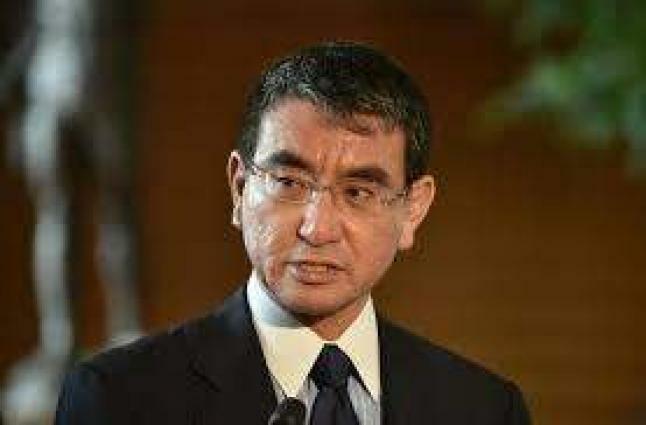 Japanese Foreign Minister Taro Kono is considering a visit to Moscow on May 11-12 for a meeting with Russian Foreign Minister Sergey Lavrov, Japanese media reported on Wednesday, citing government sources. MOSCOW (UrduPoint News / Sputnik - 17th April, 2019) Japanese Foreign Minister Taro Kono is considering a visit to Moscow on May 11-12 for a meeting with Russian Foreign Minister Sergey Lavrov, Japanese media reported on Wednesday, citing government sources. According to the Kyodo news agency, the possible meeting will address the issue of peace treaty negotiations and territorial dispute, as well as Russian President Vladimir Putin's visit to Japan for the G20 summit in Osaka. The news agency also reported on Monday that the 2+2 talks between Russian and Japanese foreign and defense ministers may be held in Tokyo on May 30-31. The countries' governments have already started consultations on the upcoming talks, Kyodo reported, citing the head of the conservative New Party Daichi (NPD), Muneo Suzuki. The Russian-Japanese relations have long been complicated by the fact that the two nations never signed a permanent peace treaty after the end of World War II. The deal was never reached because of a disagreement over a group of four islands � Iturup, Kunashir, Shikotan and Habomai � that are claimed by both countries. They are collectively referred to as the Southern Kurils by Russia and the Northern Territories by Japan. Since Putin's visit to Japan in December 2016, the relations between the two nations have been improving, with the two sides agreeing to develop joint projects on the disputed islands.